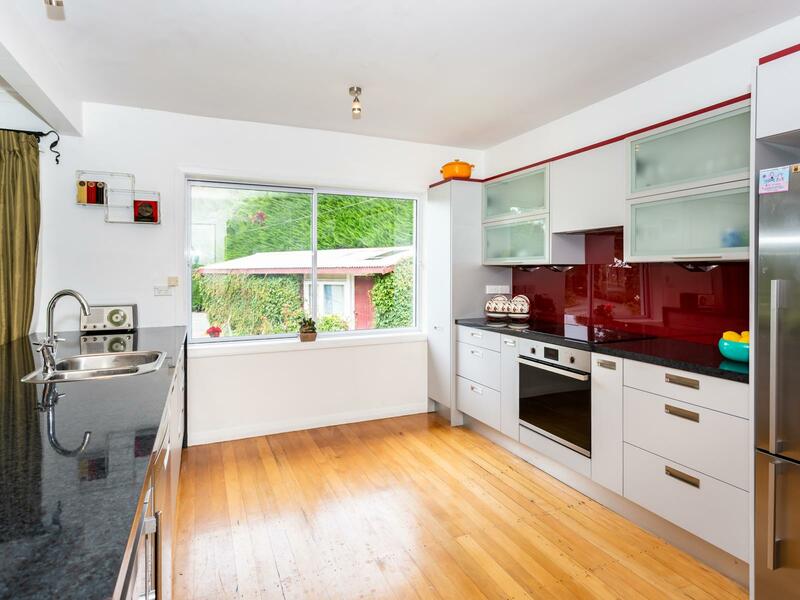 This permanent material 3 bedroom home is nestled into 2886m2 of park-like gardens and lawns. This home offers open-plan kitchen/lounge and dining with beautiful kitchen cabinetry, appliances and bench-tops. Doors from the dining area open onto a large, private entertainment area overlooking the gardens making this area perfect for outdoor living and alfresco dining. The lounge has a large wood burner for cosy winter evenings and an adjoining second living area/shnook for quieter times. The bedrooms offer charm and space and help make this a practical family home. The bathroom has been renovated with style and space in mind as has the laundry/ utility are which offers ample storage, great work spaces and a second toilet. There is some aluminium joinery throughout this home while still retaining some original features. Outside , the sweeping lawns and gardens offer-up wealth of surprises with a large pergola nestled into the garden...a beautiful place to spend long summer days and evenings, a growing house,garden sheds,a chicken-run and, a small paddock area with a 3 bay lean-to. A small established orchard with irrigation adds to the package....it`s all here! As a rear section, down a private driveway, this property offers privacy and seclusion while still being within the Southbridge township and close to all local amenities and businesses. For an appointment to view this beautiful property call Penny.